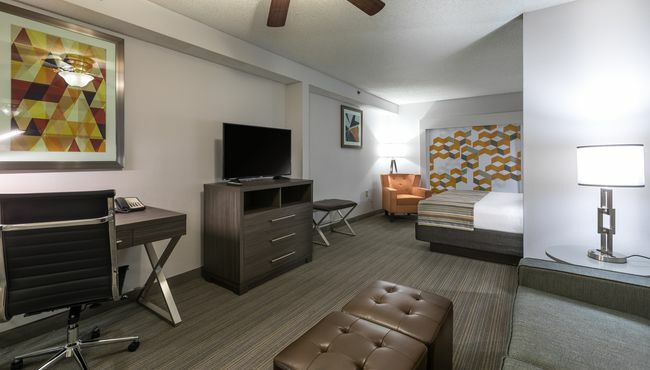 After driving along I-77 or spending a day on the lake, unwind in your room or suite at the Country Inn & Suites, Lake Norman Huntersville, NC. 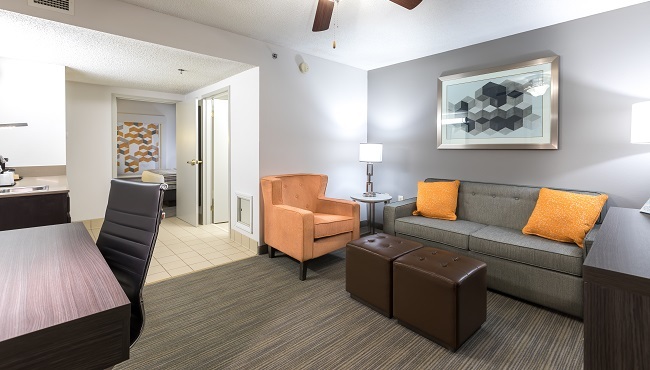 You can enjoy a fresh cup of coffee and a free weekday newspaper in your room as you stream your favorite music using free Wi-Fi. After a big meal at a nearby restaurant, store leftovers in the in-room fridge. Traveling with the entire family? 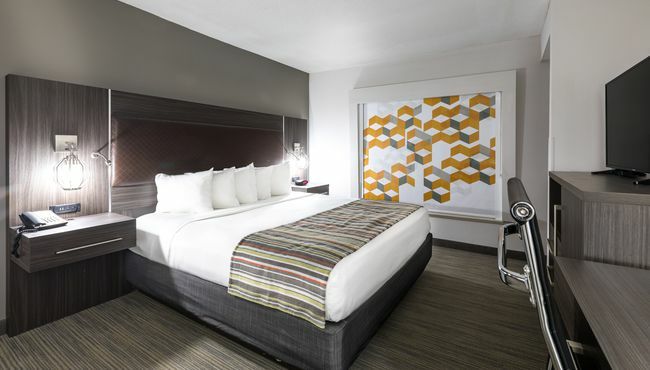 Upgrade to a One-bedroom Suite for a private bedroom and a sleeper sofa, and ask about our pet-friendly options. 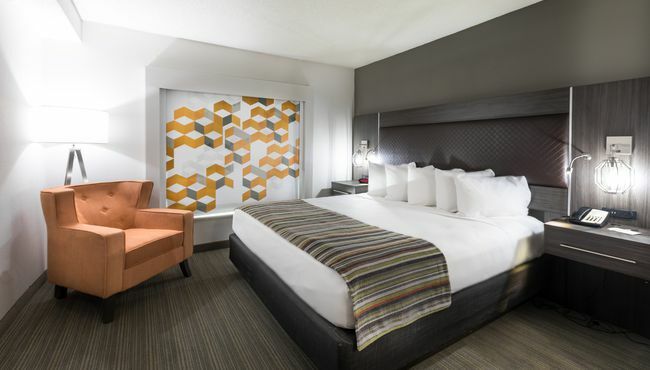 This comfortable room includes a king bed and welcoming standard amenities, such as a microwave, a refrigerator and a sleeper sofa. 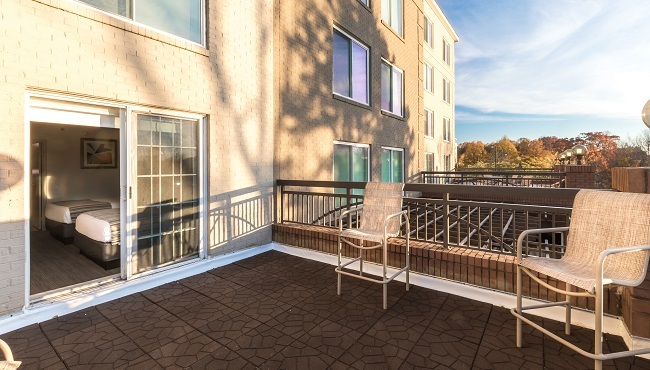 This suite offers all standard amenities and a balcony—perfect for sipping a cup of coffee in the morning or watching the sunset every evening. 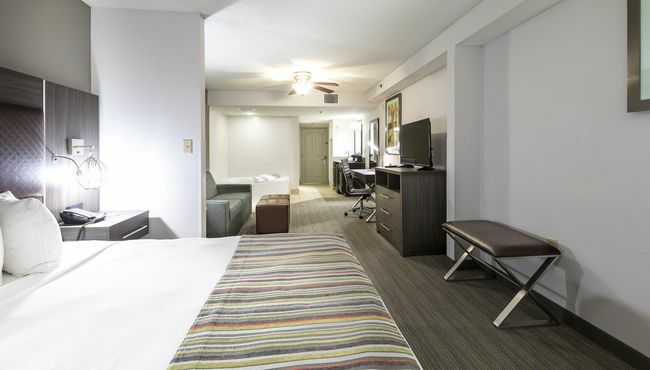 In addition to all standard amenities, this suite features a separate living room and a private bedroom with either one king bed or two queen beds. 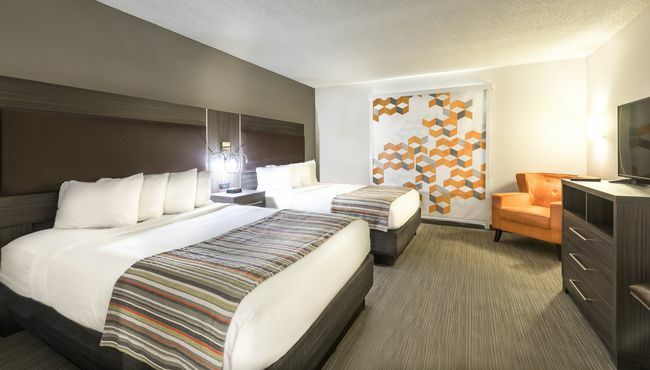 Add a little romance to your trip with the Whirlpool Studio Suite, which comes with all standard amenities, a king bed and a whirlpool for two.